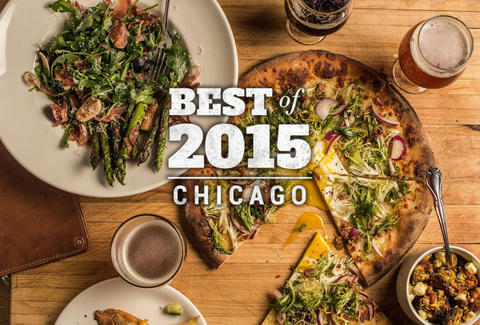 This year, Chicago’s food and drink landscape has balanced finely tuned simplicity with innovation and creativity, and that medium proved to be exactly what hungry Chicagoans were looking for. 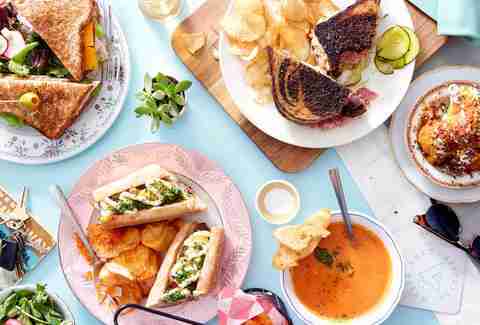 Whether you needed to stuff your face with a meatball sandwich reminiscent of your grandmother's cooking, seek solace in a pillowy naan donut, or wow your significant other with a uniquely romantic meal, 2015's plentiful crop of new restaurants and bars were here for you. 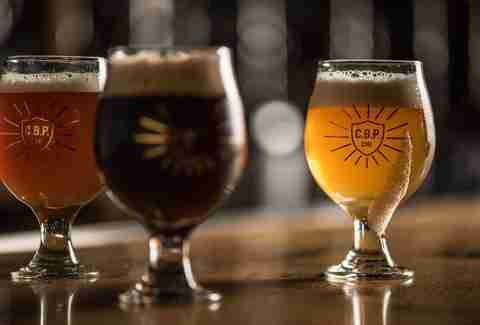 We're awarding honors across a variety of vital categories like best new brewpub, best new taco, and more. 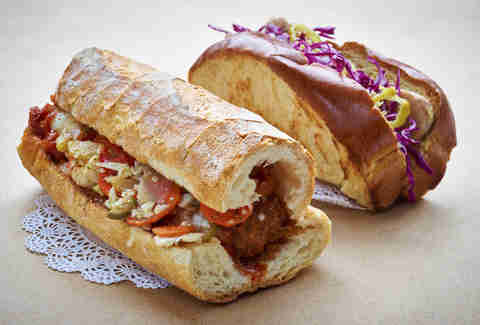 The counter-service sibling to Formento’s (one of the best new restaurants of 2015), Nonna’s has quickly become Randolph Row’s go-to for made-to-order hot and cold sandwiches, and while we can’t say a bad thing about anything in the lineup, the signature meatball sub is the real stunner here. The jaw-unhinging handheld contains colossal house-made meatballs blanketed in marinara, velvety mozzarella, and giardiniera with a supremely crusty baguette. Grab some pals, a six-pack of your favorite local suds, and head to this chill seafood emporium for a good time and Cajun-inspired shellfish by the pound. 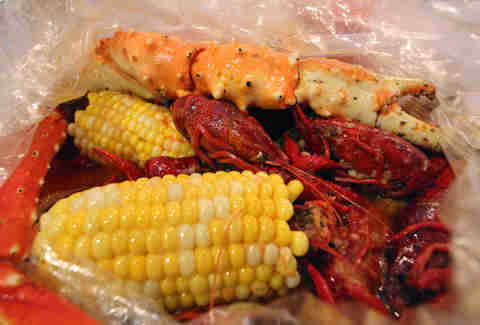 Each bag (yes, bag) is tossed to order, which means that you get to dictate the heat level; team your crustaceans with sides like corn, andouille sausage, and garlic fries for a balanced feast. New from the crew at DryHop, this twofer sports a full-fledged brewery setup on one side and a dining space -- complete with rustic wood, exposed brick, and a wall-mounted bicycle -- on the other. Go for the Lyonnaise pizza (pancetta, caramelized onion, frisee, runny egg) to accompany a pint of Wizard Fight, a creamy nitro lactose IPA. After a few incredibly successful years in the biz as a dinner destination, Lincoln Park’s sought-after modern Italian spot finally launched a weekend brunch program. The playful menu crafted by Chef Chris Pandel (The Bristol, Swift & Sons) errs on the savory side, with dishes like an everything bagel-inspired pizza stacked with smoked salmon and crème fraiche and a giardiniera-infused frittata, while the sweet crespelle with mascarpone and roasted grapes will satisfy a sweet tooth. With Instagram-worthy skyline views, simple yet sophisticated bar fare, and a cocktail menu that's organized by key ingredient (think agave, corn, and juniper) and inspired by Chicago with hints of the Irish, this cocktail oasis promises a next-level drinking experience -- literally, it sits 18 stories high. 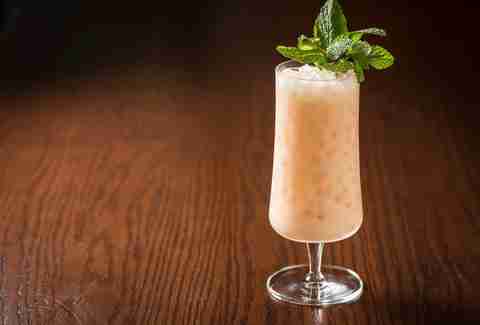 Raise a "Lincoln Park" -- Glenlivet, Laphroaig, Cappelletti Aperitivo, jasmine, Coco Lopez, and pineapple -- to that. Forget exotic cheeses and other gourmet accoutrements, 2015 was the year of back-to-basic burgers in Chicago, and the simple, expertly executed number at Johnny’s led the pack. 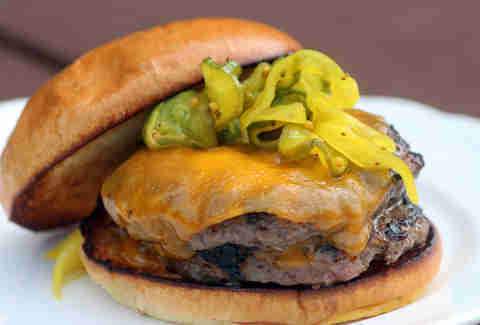 Two juicy patties provide just enough meaty resistance with each bite, while melted sharp cheddar, tangy Dijonnaise, pickles, and onion amp up the flavor factor. From "Fernet Cows" (Letherbee fernet, mint, house-made fernet ice cream, and Coke) and a predominantly Midwestern draft beer list to the Sunbutter Sandwich (sunflower seed butter, honey jam, and toasted sunflower seeds on whole wheat) and a veal heart Philly with Cheez Whiz mayo and sautéed onions, this hipster-approved concept has the answer to all your lunchtime needs. 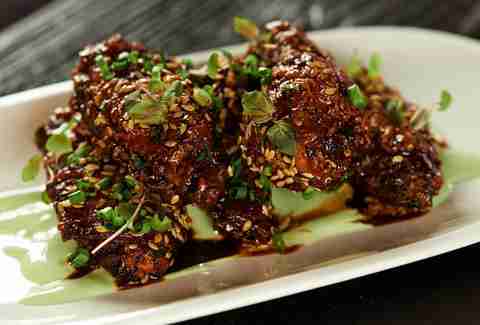 Don’t let its eyebrow-raising name fool you, Oak + Char’s highly addictive "MSG Wings" actually take their name from the major ingredients in their lip-smacking glaze (maple, sherry, and gochujang chili). A smoked-cilantro yogurt sauce served beneath the wings imparts a cooling effect that tempers the sweet heat of the wings, and proves that sometimes, the key to superior wings is synergy. 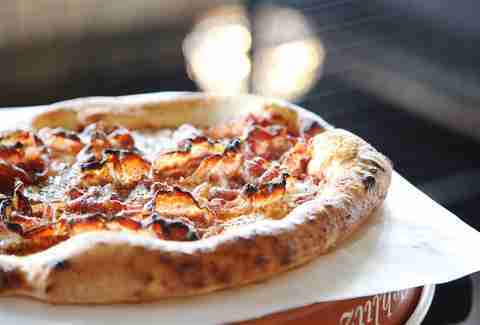 Siena Tavern's casual and decidedly more trendy bi-level spinoff has been consistently packing the house since day one, and given the caliber of its wood-fired pizzas and glorious early-morning-to-late-night BomboBar, you probably shouldn't expect the hype to fade any time soon. Don't miss the prosciutto fig pie with taleggio, spiced pistachio, and local honey. 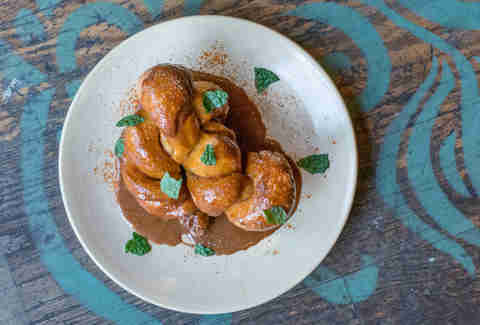 There are many donuts in Chicago, but none like Pub Royale’s unusual take. The sweet and spicy creation is made with twisted bits of deep-fried naan dough, and comes drenched in chai spice-infused dulce de leche glaze. Little did we know that when we lost Michelin-rated L2O last year, we would gain something even greater. That “something” is Lettuce Entertain You’s Intro, an outside-the-box concept that centers on the idea that the only constant is change. 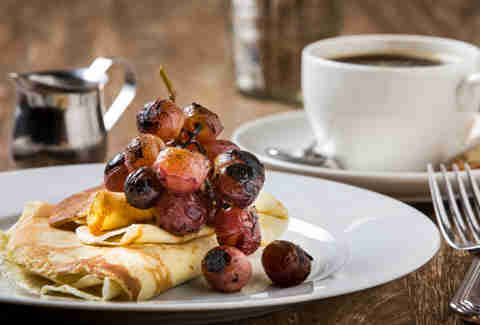 Every few months, the restaurant introduces a new “chef-in-residence” who completely transforms the dining experience. 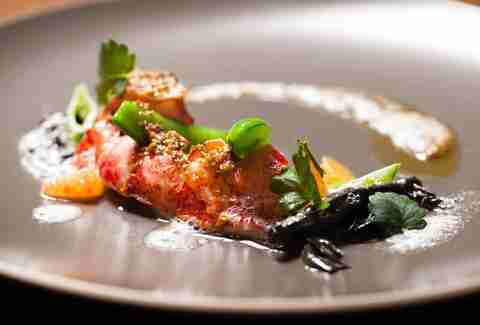 Recent chefs include inaugural chef CJ Jacobson and current chef Stephen Gillanders. It’s no secret that celebrity chef Spike Mendelsohn’s sustainability driven burgers are great, but when it comes to milkshakes, let’s just say his burger joint’s toasted marshmallow confection is bringing everyone to the yard (sorry, we had to). 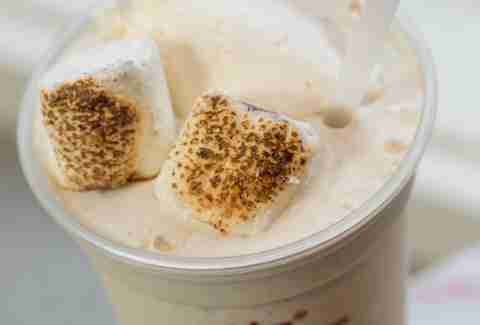 The hand-spun shake is a veritable campfire in a cup, and is one of the best drinkable treats we’ve ever had in Chicago, let alone this year. 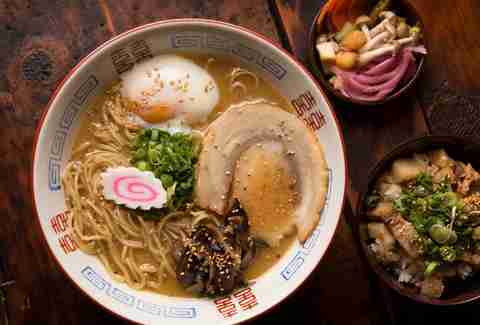 Chicago’s ramen boom struck in 2014 and steamrolled on through to 2015, bringing with it Chef Shin Thompson’s scratch-made noodle-slurping shop and his signature blazing hot “Furious Ramen.” The fiery bowl of tonkotsu broth-based comfort gets its kick from spicy miso, white pepper chicken, and house Fury sauce, and is rounded out with chashu pork belly, a poached egg, marinated mushrooms, and garlic relish. Eat great on the cheap at this Mexican street food purveyor on the Northwest side, where the taco offerings range from al pastor with onions, cilantro, and grilled pineapple to a surprisingly satisfying veggie number bursting with fresh herbs, squash, zucchini, carrots, and more. 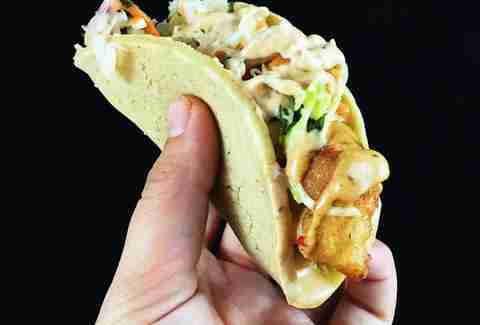 And no outside-sourced tortillas here: each taco comes swaddled in a fresh tortilla made in-house.